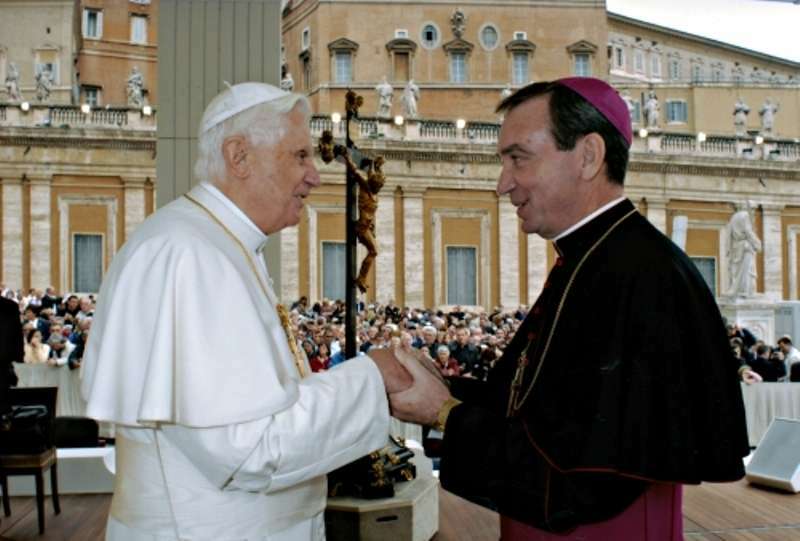 On January 18, 2001, Dennis Schnurr was appointed the eighth bishop of the Diocese of Duluth by Pope John Paul II. 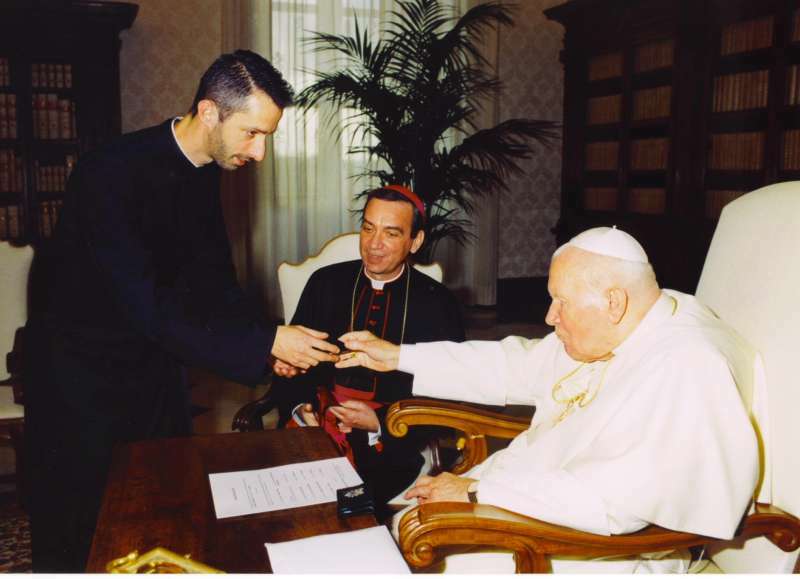 He received his episcopal consecration on April 2, 2001 from Archbishop Harry Flynn, with Archbishop Gabriel Montalvo Higuera and Bishop Lawrence Soens serving as co-consecrators. He selected as his episcopal motto: Quaerite Faciem Domini, meaning, “Seek the face of the Lord” (Psalms 105:4). 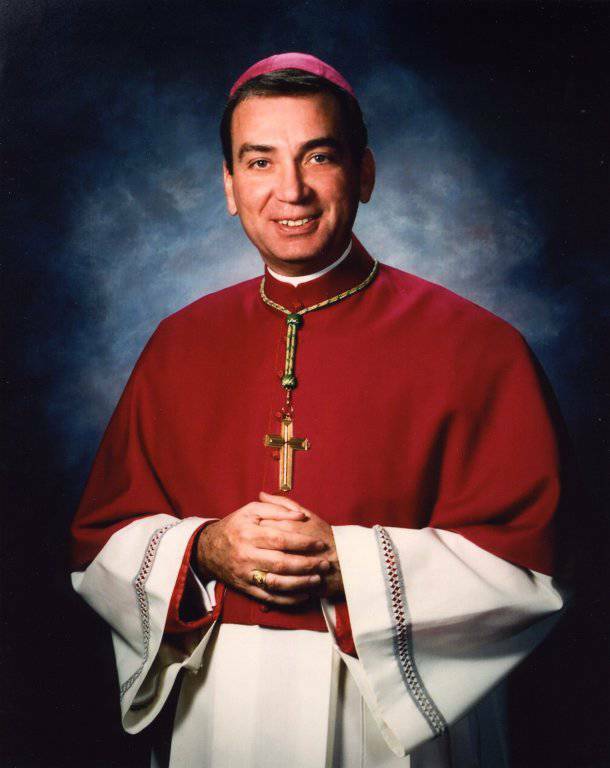 Papal Artifacts is always honored to remember Archbishop Dennis Schnurr on the anniversary of his appointment as bishop of Duluth, Minnesota in 2001. He currently serves as Archbishop of the Diocese of Cincinnati, Ohio. We are grateful for his gifts to the Diocese of Duluth, and remember today, not only his work in Duluth, but also his devotion to our seminarians, his generosity to Papal Artifacts by way of his contributions, and his continued friendship with the Papal Artifacts’ Curator, Father Richard Kunst. 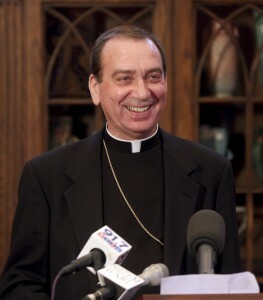 A product of the NAC and Gregorian named to the Minnesota diocese in 2001, the Iowa-born (now Archbishop) first came to wide notice in two national-level assignments during his priesthood: first, his role as executive director for 1993’s World Youth Day in Denver, a year after which he was elevated to general secretary of the US bishops’ conference, where he served until the Duluth appointment. Prior to that, Archbishop Schnurr — who had been chancellor of his home-diocese of Sioux City by his early 30s — was a local aide on the staff of the Apostolic Nunciature in Washington.